First off you can start with your invites. 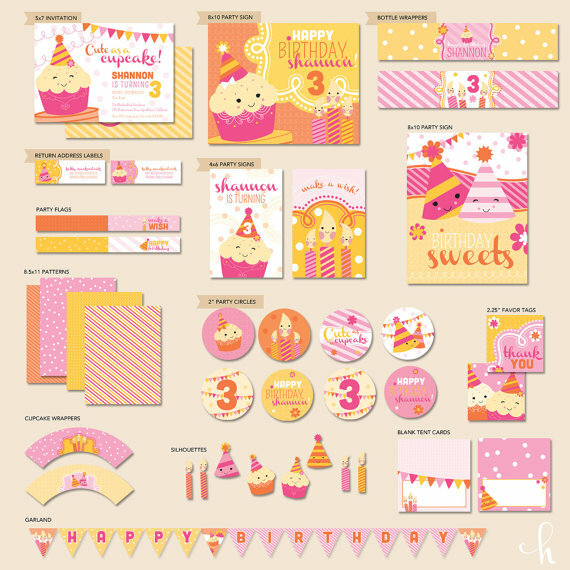 These super cute invites from Hostess with the Mostess are a great way to set the pink and orange theme for a child’s birthday. Use the orange and pink colours to make the main attractions pop out (like a cupcake or a party hat) but blend it with subtler shades such as pastel pinks, oranges, ivory and white. Cute characters give it a childlike approach, but if your event is more for an adult, you can use simpler designs like bunting or champagne glasses to help convey your theme and event. There was also some great ideas for gifts for the guests to take home. She started with a small bottle of champagne and used paint and orange glitter to coat the outside of the bottle for a super sparkly effect! 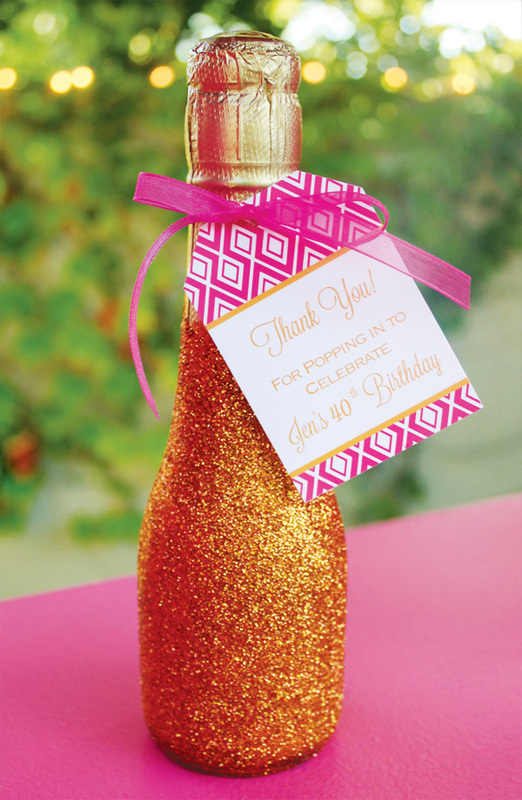 Put a hot pink thank you tag to the bottle to add that little extra bit of your theme for the guests to take home! Now if you want the tutorial on how to make your own glitter champagne bottles, you can get it from Bloom Designs. No party isn’t complete without special desserts! 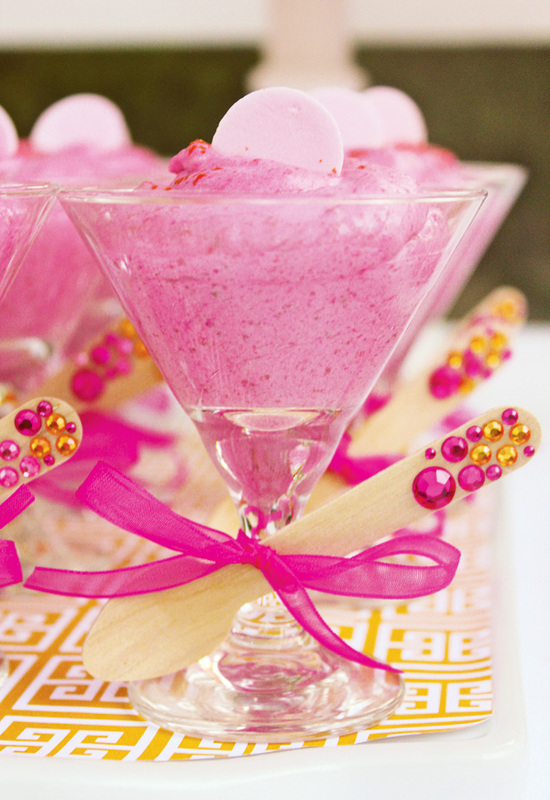 Hostess created an amazing raspberry mousse in small martini glasses, complete with wooden spoon that she adorned with bedazzling orange and pink jewels! Adorable! Don’t forget to incorporate your orange and pink theme into the normal trending party supplies when decorating- think orange and pink alternating tables like the photo from Wedding Decorations above. Use table runners and chair sashes in pink and orange to decorate your tables, and create the ambiance with hired lights if you can get your hands on them! 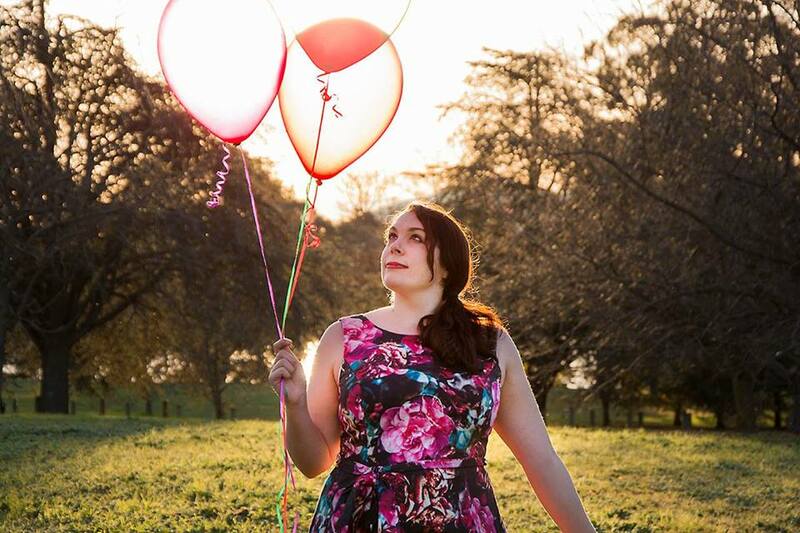 Perfect for a charity fundraiser, ball or even a vibrant wedding! Photo from Polka Dot Party. 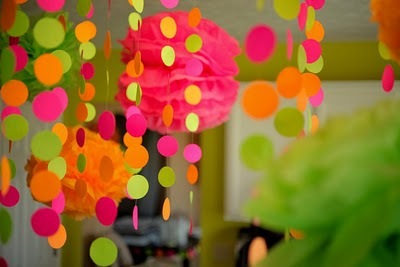 If your not having a party as fancy as the one above, you can decorate with the most popular party basics – pom poms, paper ball lanterns and buntings in orange and pink. All of these can be hung from walls, decks and ceilings, so they are the perfect decoration if your having a house party! 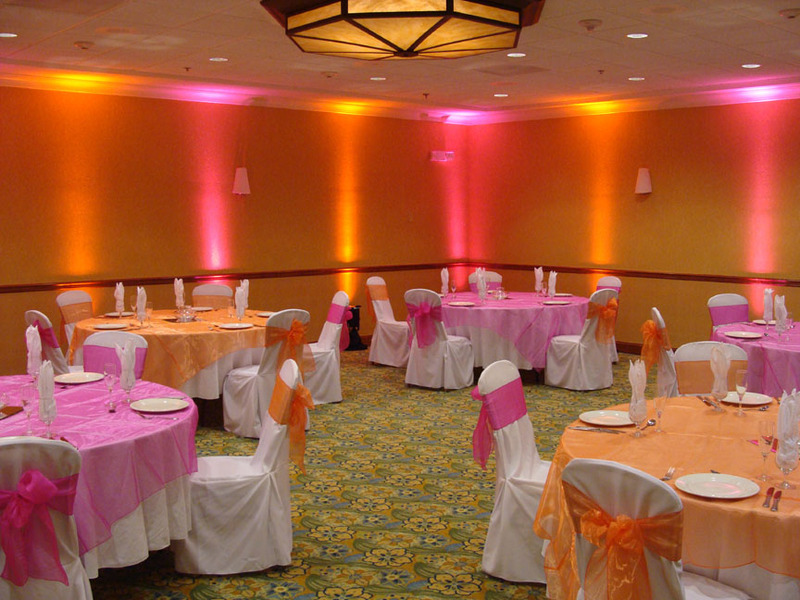 If you have any more great ideas for a pink and orange party, let me know! E-mail me at thepartyconnection@hotmail.com or leave a message!